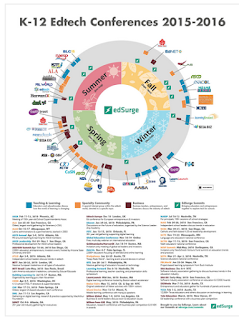 This is a quick post to inform you of this wonderful resource from edSurge. 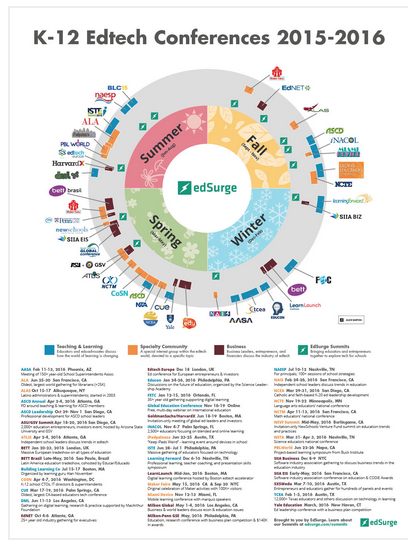 This is basically a printable poster featuring over 40 main EdTech conferences for teachers and educators. Each of these conferences comes with a short description and the date and place where it takes place. The names of the conferences are all hyperlinked in the poster so you can easily access their homepage and learn more about them. From ISTE to ASCD Leadership, the list will definitely help you stay updated about the major EdTech events in the world of educational technology.